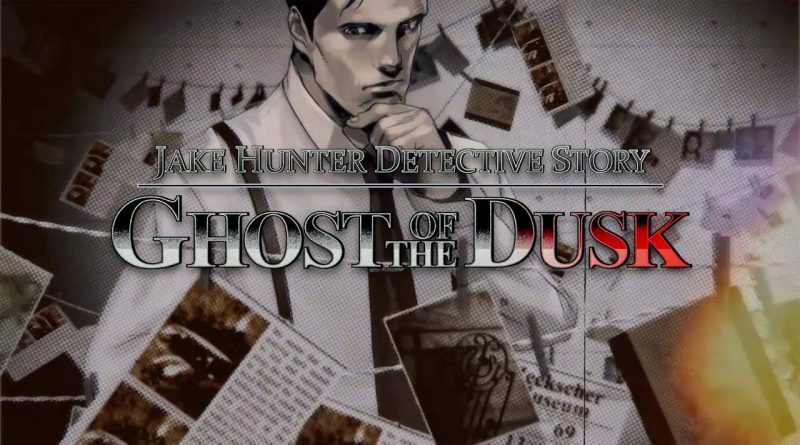 Aksys Games announced today that Jake Hunter Detective Story: Ghost of the Dusk is now available for Nintendo 3DS at retail stores and in the Nintendo eShop. The popular adventure series is returning to North America and Europe for the first time in a decade and will feature five additional Jake Hunter cases never before released outside of Japan. In Ghost of the Dusk, a homeless man’s accidental death draws hard-nosed detective Jake Hunter into the shadow of a mysterious mansion — but all is not as it appears at the seemingly innocuous crime scene, and Jake can’t shake the hunch that something is amiss. With the help of an old friend, Jake works to get to the bottom of the crime and uncover the true culprit’s identity. But when the mansion’s owner comes to Jake with a new proposal, things take a turn for the bizarre as dark secrets are forced from the shadows. Now, it’s up to Jake to track down the source of the madness. To solve these mysteries, you’ll need to use all of your master detective skills: question suspects, search crime scenes, and zero in on inconsistencies to discover the truth. Dive into a gritty world populated by shady characters, dubious allies, and more than a hunt of the supernatural. You’ll need to harness all of your focus and skills to separate fact from fiction. And the Password Is… – Discover passwords hidden throughout the game’s world to unlock side stories, bonus features, and more!